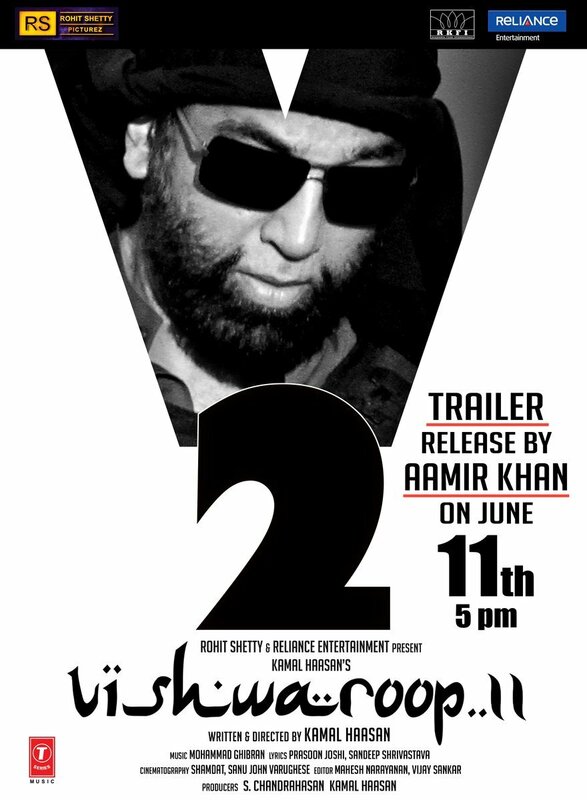 Finally the trailer release date of Kamal Haasan’s Vishwaroopam 2 has been announced. The long time waited sequel of 2013’s blockbuster hit Vishwaroopam theoritical trailer to be launched by Bollywood Superstar Aamir Khan and Telugu Star Jr. NTR. The official announcement regarding the trailer release has posted in Raaj Kamal Production’s twitter handle. The announcement from the post confirms that Vishwaroopam 2 trailer will be released in three languages on June 11th, 2018 at 5 PM. The hindi version of trailer to be launched by Aamir Khan, Telugu trailer to be released by Jr. NTR and tamil version to post by Daughter of Kamal, Actress Shruti Haasan. After lots of barrier, Raaj Kamal Films took over all right of the movie from Aascar pictures and finally completed the shooting of Vishwaroopam 2. The film pre production is going in full swing and expected to release on August 2018. Kamal Haasan, who is last seen in ‘Thoonganagaram’ in 2015 is recently started his political journey after naming his party ‘Makkal Needhi Maaiyam’. The actor-politican seems too busy in multiple public activities in recent months all set to wrap his movies. 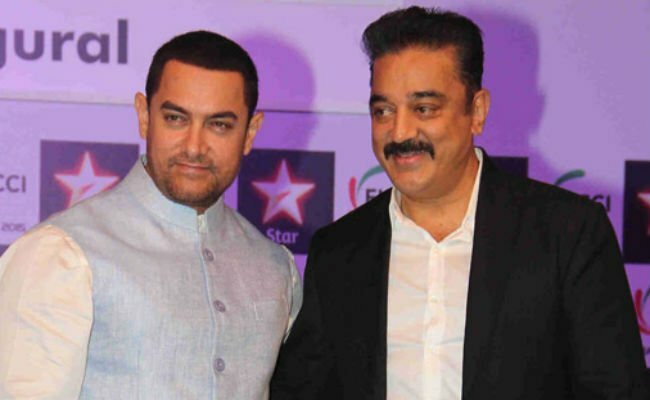 Kamal who also create huge buzz among audience on hosting Bigg boss last year now all set to return to television again to host second season. The launch event of Bigg Boss Tamil Season 2 is scheduled on 17th June, 2018. Vijay Television has bagged the satellite rights of the movie and expected to promote during release in Bigg Boss tamil season 2. However the official release date is expected to reveal in trailer. Touted to be Action thriller, Vishwaroopam 2 is written and Directed by Kamal Haasan. The film produced by Raaj Kamal Films and it featuring star cast including Rahul Bose, Pooja Kumar and Andrea Jeremiah. Sanu Varghese and Shamdat Sainudeen done cinematography and Ghibran composed the sound track and background score for the film.